Katherine Tegen Books, 9780062085764, 384pp. Fans of action-packed sci-fi thrillers such as I Am Number Four and The Maze Runner will love bestselling author Patrick Carman's Pulse, with its epic action scenes and memorable love story. In the year 2051, who has the power called a pulse? With the help of her mysterious classmate Dylan Gilmore, Faith Daniels discovers that she can move objects with her mind. This telekinetic ability is called a "pulse," and Dylan has the talent, too. In riveting action scenes, Faith demonstrates her ability to use her pulse against a group of telekinesis masters so powerful they will flatten their enemies by uprooting streetlights, throwing boulders, and changing the course of a hurtling hammer so that it becomes a deadly weapon. But in order to save the world, Faith will have to harness not only the power of her mind, but the power of her heart, too. 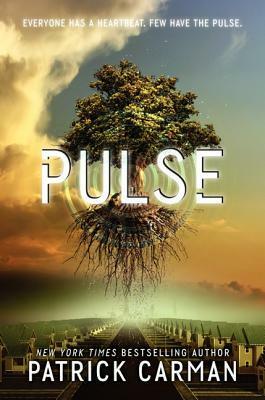 The first in a stunning trilogy, Pulse is a triumph about the power of the mind—and of love.